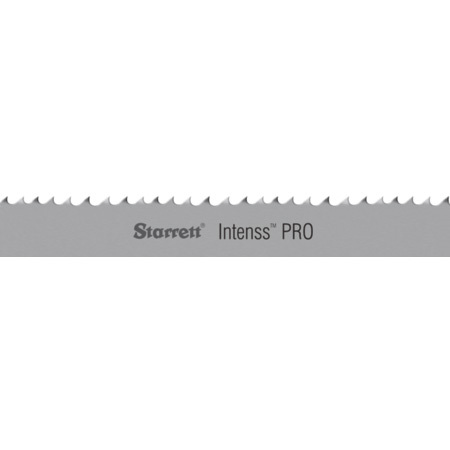 Intenss PRO is a bi-metal band saw blade ideal for intensive production cutting. Its positive rake angle and variable pitch tooth geometry provide excellent cutting efficiency. It offers easy penetration, excellent chip clearance, low noise levels, quality surface finish and faster, straighter cuts. It is a good choice for steels up to HRc 45, tool and stainless steels and nickel based and non-ferrous alloys.